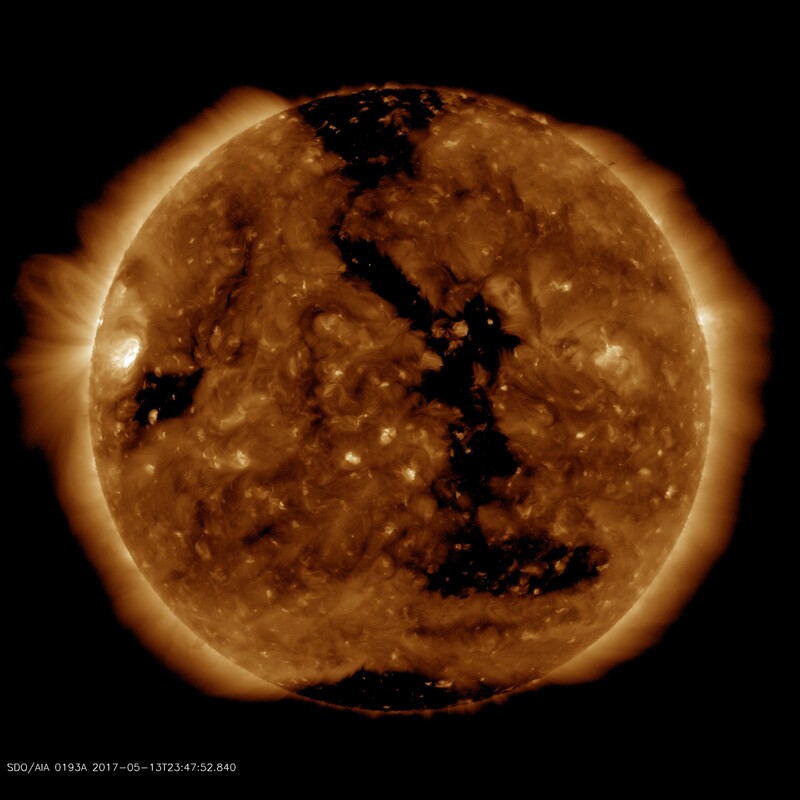 This planning week took place during the Hinode eclipse season. There were two ARs on the disk at the start of the week: AR 12654 and 12655. 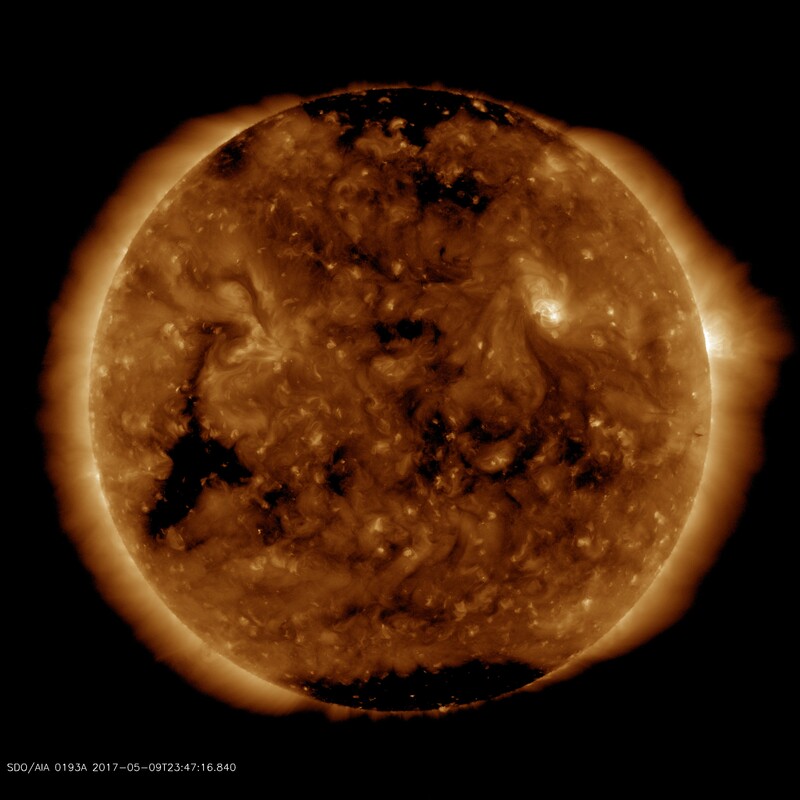 The former was the target of the prior week, but we changed to the recently-emerged 12655 as it was showing some B-class flare activity, although this quickly faded. Since there was no other AR, it remained the default AR for the whole week. Due to the lack of activity of 12655, for 9-13 May I just scheduled Atlas_60 every few orbits. 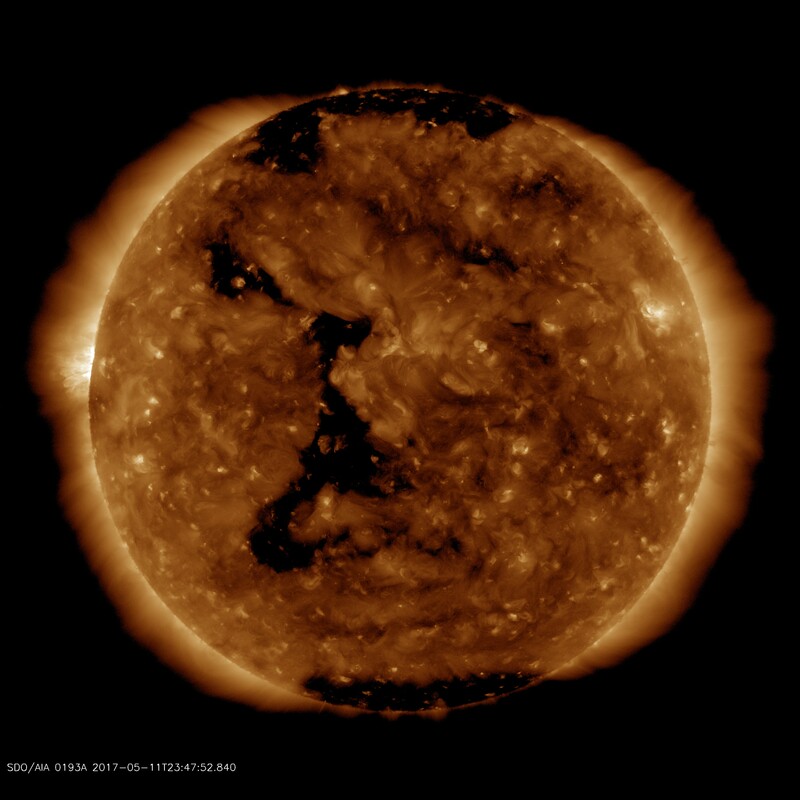 For OP3 we observed a small equatorial coronal hole that was near a decayed AR. It may be useful for outflow and abundance measurements. Spectral atlas sequences on 9-10 May and 11-13 May. 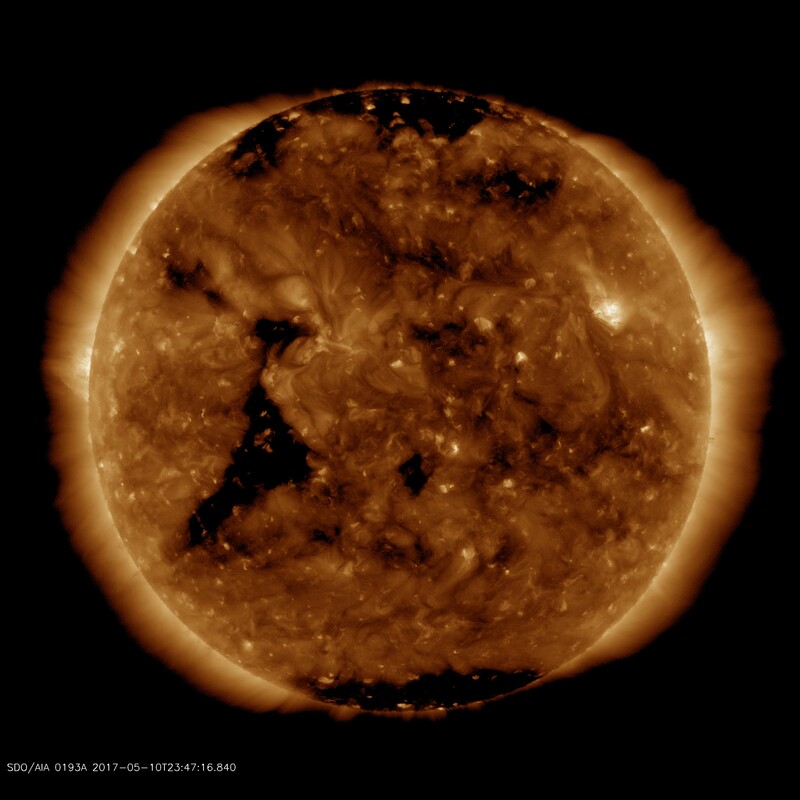 Equatorial coronal hole on 11 and 13 May. Tbere was little HOP activity this week, with HOP 81 on Sun & Mon, HOP 336 on Mon, and HOP 130 on Tue. IUU_SLOT_148X400 was run at 01:02 and 02:41 to search for bursts. There is no IRIS support for this. At 07:35 I supported a SST-IRIS coordination by running IUU_SLOT_148X400 for one orbit. I then switched to Cool_loop_stare at 09:16 UT for the second orbit. HOP 81 was supported at 10:57 (north pole), and the Hinode alignment program supported at 18:11 (north) and 20:43 (east). IRIS was coordinating with GREGOR and so I inserted Cool_loop_response at 08:14 UT for one orbit. HOP 81 was supported at 11:28 at the south pole. HOP 336 (bright points) was then supported with four runs of Large_CH_Map at 18:02, 19:43, 21:22 and 23:00 UT. Atlas_30 was run at disk center on quiet Sun at 00:38 UT. 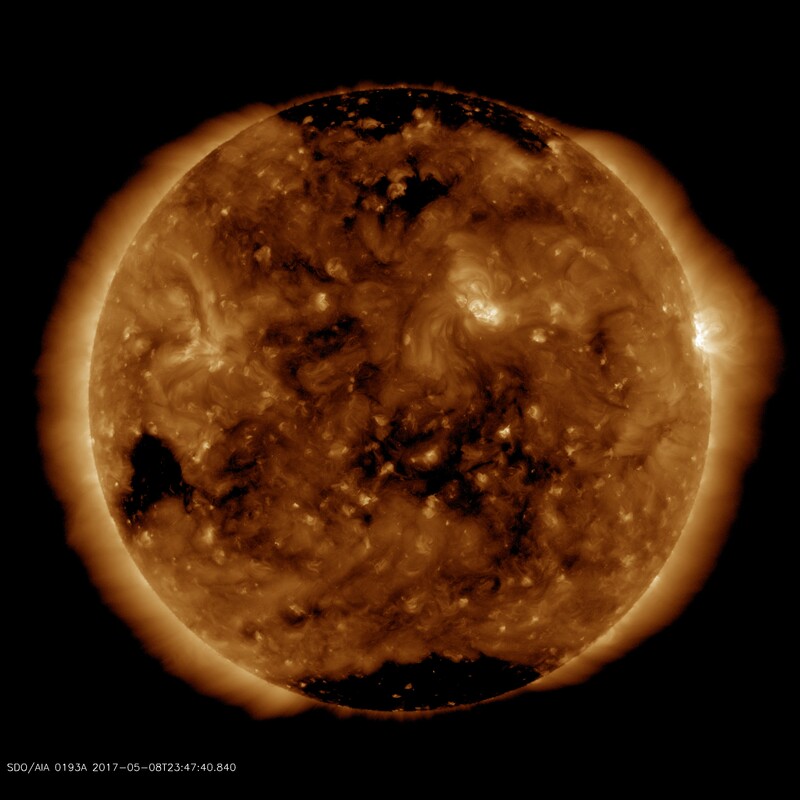 This OP began with the HOP 130 full Sun scan, which finished at 17:30. AR 12655 tracking began after this, so I scheduled five Atlas_60 rasters with the first at 20:20 UT. This may be matched with an IRIS observation (19:59-21:13). The AR 12655 atlases continued with ones at 02:49, 09:23, 16:03 and 22:35 UT. The latter pointing has a corresponding IRIS raster from 22:10 to 23:52. 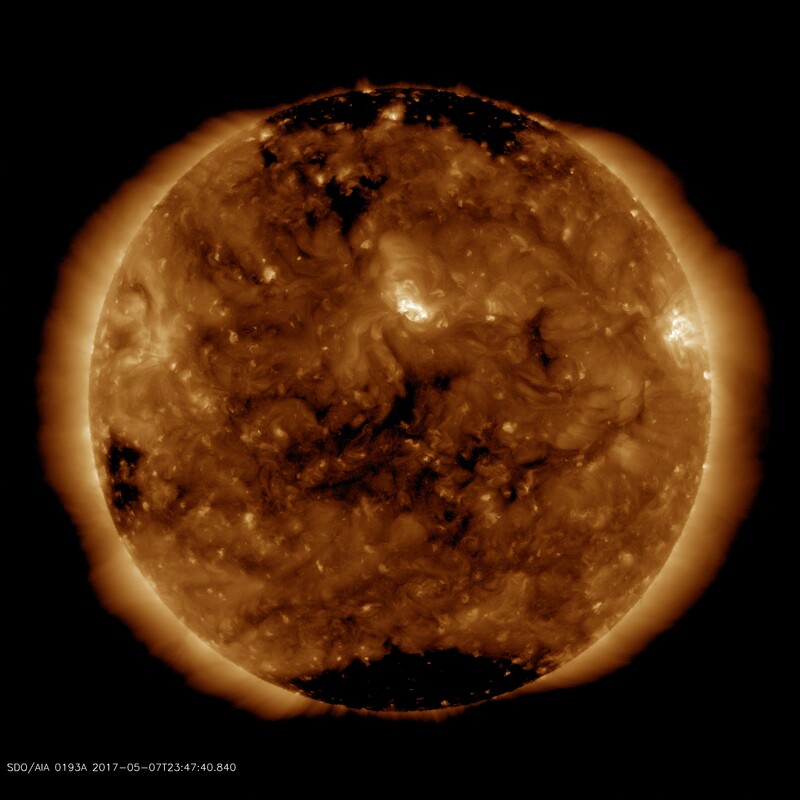 We switched to quiet disk center for the remainder of the OP and I scheduled dhb_atlas_120m_30 (spectral atlas) at 00:08, 01:47, 03:25 and 06:42 UT. 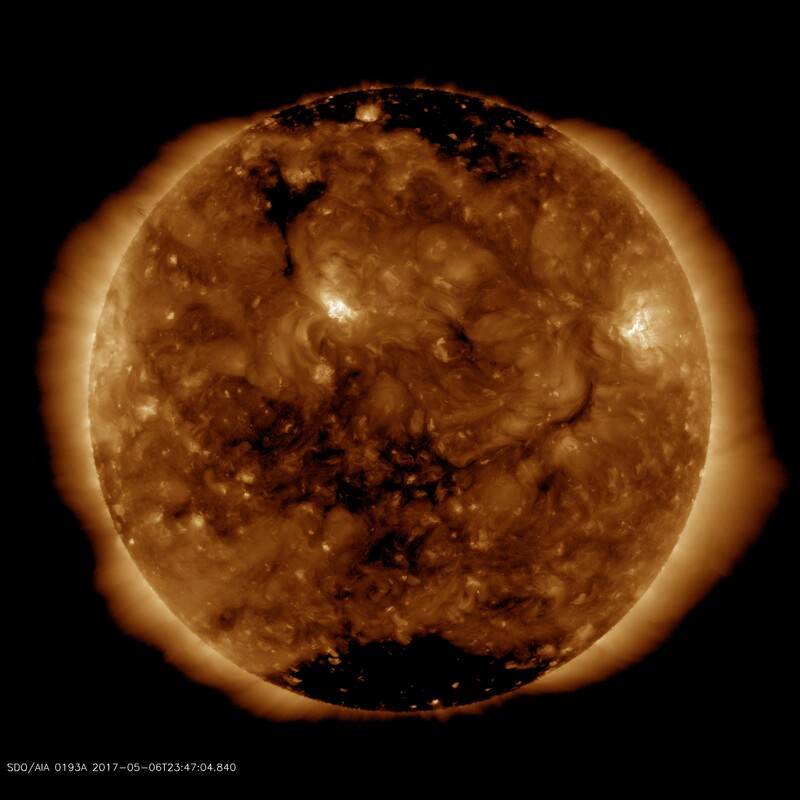 We started with a pointing on the small coronal hole. I ran a single Large_CH_map at 10:00, then I followed with four YKK_ARabund01 rasters at 11:37, 13:20, 15:00 and 16:35 UT. An IRIS raster is obtained between 14:51 and 17:06. I then began tracking of AR 12655 with a set of four Atlas_60 studies, the first at 18:15 UT. There is a corresponding IRIS raster between 17:50 and 18:41. AR 12655 tracking continued with Atlas_60 at 00:50, 07:18, 13:52 and 23:43 UT. An IRIS raster on the AR is available for 23:43 to 00:34 UT. The Hinode co-alignment was done at the north (18:46) and east (20:35) limbs. 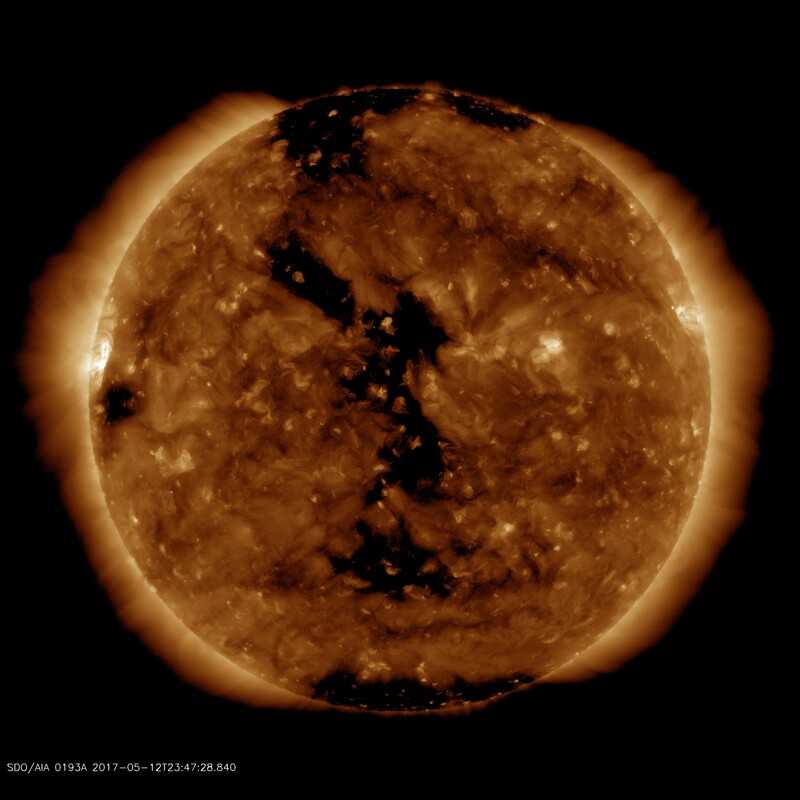 For the coronal hole I ran Large_CH_map at 01:20, and YKK_ARabund01 rasters at 03:00 and 04:37 UT. IRIS is doing a large CH scan between 04:20 and 06:36. A final Atlas_60 on AR 12655 was done at 06:28 UT.